The Television Critics Association Press Tour takes place twice a year in January and July. The tour lasts two weeks, and generates roughly two million stories (a slight exaggeration, actual figures put it around 95,000 stories total). The tour started almost two weeks ago, and for the next two days, July 22-23, PBS is the featured network. 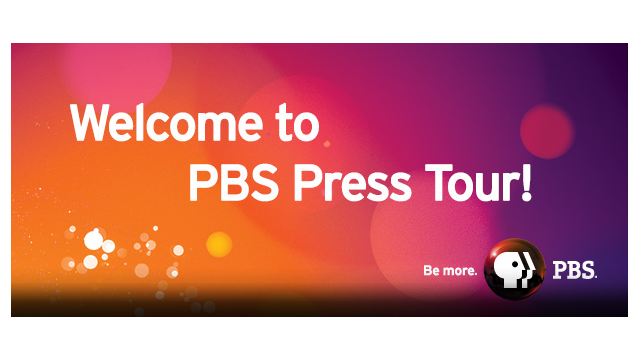 Credentialing for the PBS press tour is now closed, but you can follow it remotely with the hashtag #TCA14. The @PBSPressRoom Twitter account will also post regular updates during the tour. You can also check the PressRoom’s Flickr account to access free, professional, high-resolution Press Tour photos. For those attending Press Tour, a full schedule is detailed below. At the tour, you can prescreen full episodes of upcoming programs using the closed circuit feed (channels 65 and 66). In addition, those looking for local connections to PBS’ upcoming programming can use the PBS Local Connections Google map to check if your market is connected to an upcoming broadcast.